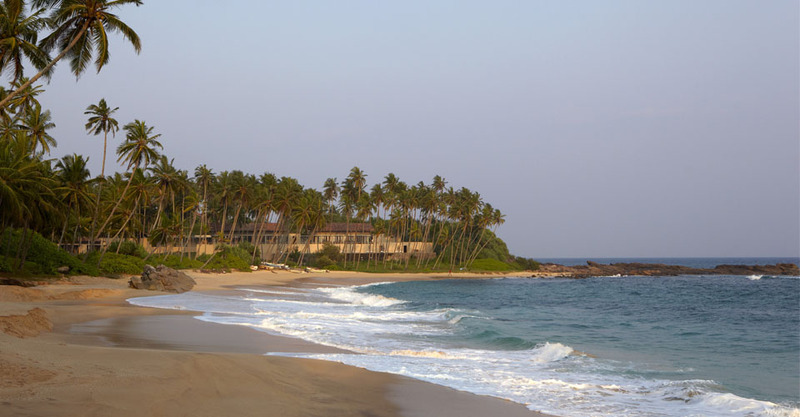 Amanwella is a tranquil hideaway set in a beautiful cove on Sri Lanka’s southern coast, encompassing a peaceful crescent of coastline where nature, wellness and the surrounding community are intimately intertwined. 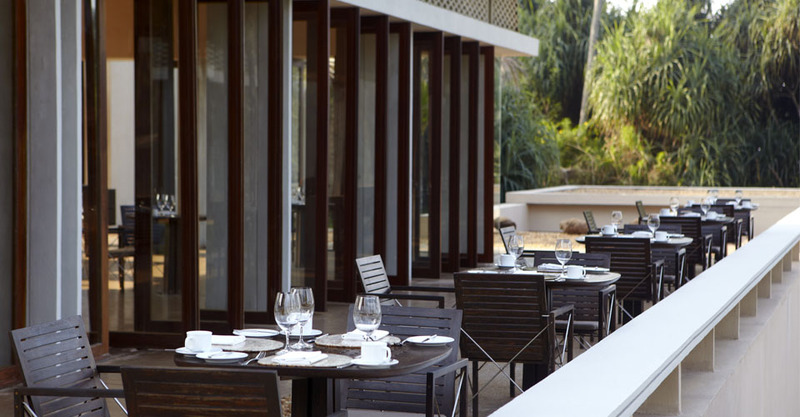 The resort’s architecture is inspired by the work of famed Sri Lankan architect Geoffrey Bawa. 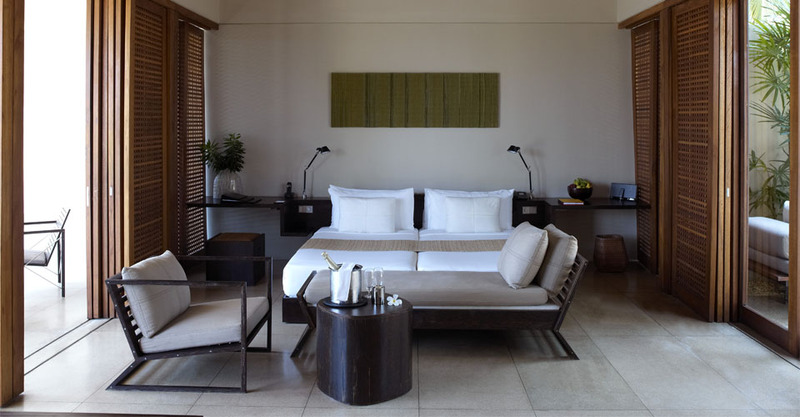 Amanwella’s Suites rest beneath towering coconut palms overlooking a curved beach and the sapphire sea. Tangalle’s jungled coast is rich in flora and fauna and has many wonderful things to do and see. There are spectacular sunsets framed by rocky headlands, the waters are suitable for surfing, snorkeling and scuba diving, you can go on fishing trips, and spinner-dolphin and whale-watching trips, and you have the chance to see Giant turtles lay eggs in nearby beaches. All suites of Amanwella are open to the sights and sounds of the shore, and feature 27 contemporary suites with floor-to-ceiling sliding glass doors on both sides. One side opens to an entrance courtyard with a private plunge pool, the other to an expansive terrace with twin sun loungers, a dining table and chairs, and views of the coconut grove, beach and ocean. Set close to the beach, terraces provide superior views of the ocean. 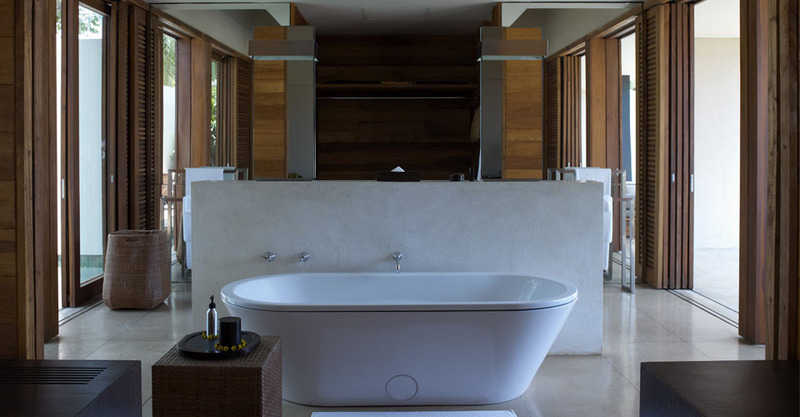 Ocean Suites feature plunge pools in private courtyards and expansive terraces. Situated higher up the hill, terraces offer views of the treetops and sea. Suites feature plunge pools in private courtyards and expansive terraces. 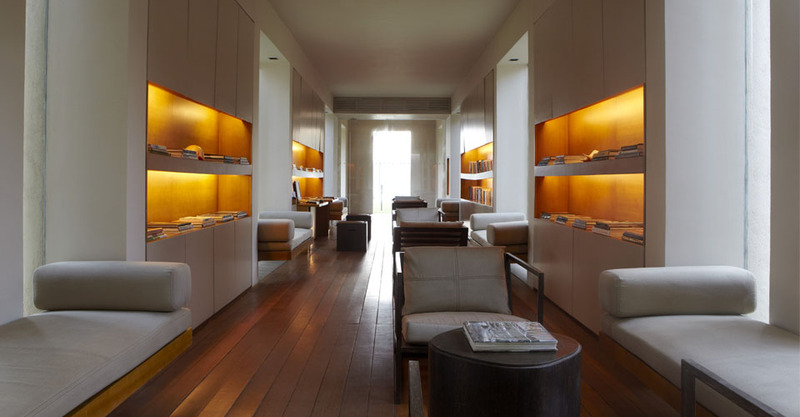 Spa treatments can be organised in the spa or inside the suites themselves. The all natural products are made with ingredients from a multitude of native herbs, plants and flowers. Abhyanga massage is one of the spa’s specialities, a traditional warm-oil ayurvedic treatment that eliminates impurities from the body. The beach-front yoga platform is the setting for sunrise sessions catering to all abilities.